There is nothing better than sitting down to a hot meal on a winters evening, and to top it off, you know the ingredients came from your own garden. The flavour, the freshness and the fact that you know exactly where it came from adds to the moment. Many varieties of herbs and veggies can be used over and over simply by cutting off what you need for each meal and leaving the plant in your garden to continue growing, giving you absolute freshness every day of the week. Although this is not possible for every type of herb and vegetable there is a way around it most of the time and is something I tend to do more often than not. I have placed this as no. 1 on my list for one reason, Wombok Salad. If you haven't tried it, try it NOW. The plant forms a tight head and grows rather large over about 5 weeks (from seedling stage). If you grow them side by side it may be necessary to space every second hole apart as they mature and surprisingly, the roots don't grow very large so it's easy to move around The Salad Table when required. It is best suited to cooler conditions in the south but will still perform quite well in the warmer winter conditions around the tropics. Keep an eye out for bugs as they will attack from the inside and before you know it your cabbage will be gone. Harvest when the plants feels solid and heavy. This is the main and vital ingredient in Caesar Salad and is the perfect salad all year round. For a winter version just throw in some warm chicken. Here is one of many recipes for this favourite dish. Most varieties of Cos Lettuce grow year round and are one of the most simple fast growing lettuce varieties on the planet. They are also more tolerant to pests which enables you to grow them without any bug sprays, particularly in winter. After placing your seedling into your garden your Cos should be ready to harvest at around 4 weeks. Enjoy this crunchy loose head legend. If you love a nutritious fish dish on a cool winters night, dill is the herb that compliments it best. Try this recipe, fish parcels with lemon and dill. This fresh herb adds a delicious accent to eggs, cheese, vegetables and grows well all year round. Dill prefers a good sunny position during winter is not very frost tolerant. Cut as needed and watch new shoots take the place of old. If left to grow Dill can get to about 1 metre tall before shooting to seed. Dill seeds were traditionally used to soothe the stomach after meals, so place some seeds in a small dish and pop it on the dinner table for all to enjoy. 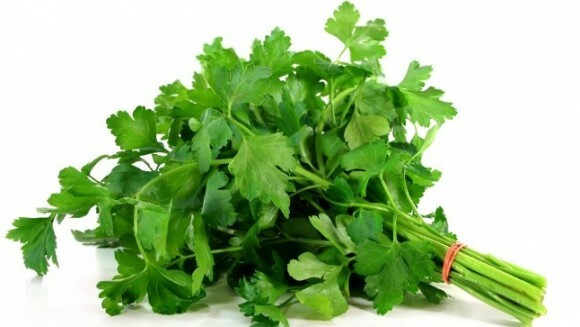 ﻿My personal favourite parsley type is flat leaf or commonly known as Plainleaf or Italian Parsley. Curly is another type that grows well in your Salad Table but is primarily used as a garnish. Plainleaf on the other hand has many uses. Click here for 10 recipes that use parsley. Parsley is a good source of flavonoid and antioxidants, especially luteolin, apigenin, folic acid, vitamin K, vitamin C, and vitamin A. When growing from seed use a pinch (approx 10 seeds) to ensure a big bunch. Break or cut off as needed or take out whole and freeze the excess. You can even place your plant, roots and all in a glass of your Salad Table nutrient on the bench top for immediate access. It will continue to grow providing you with a continuous fresh supply. Parsley is sure to take any awesome dish to the next level. If you thought growing in winter was not an option for you, you thought wrong. It is amazing how simple it is to have many winter meal ingredients within a few metres from your kitchen. Click here to browse our full range of products. Every Salad Table comes with a collection of winter seeds for you to grow your own. These are just 5 of my many favourite varieties that i grow on my Salad Tables and in my commercial farming operation. Enjoy, experiment, eat healthy and be healthy.